Faced with a daunting number of options and time-consuming due diligence, investors are increasingly turning to online investment advisors, like Wealthfront and Betterment. The benefits of online advisors are many, including low costs, effortless management, and reduced potential for bias. Still, most online advisors fall short on diversification and portfolio allocation, since they offer investors little-to-no exposure to private investments. The new Fundrise end-to-end investment services and management system aims to fill the gap, offering the same easy, low cost, goal-based portfolio management as an online advisor, while unlocking access to private investments with higher potential returns. With thousands of investment options, managing and growing your portfolio can be tough work. It requires rigorous due diligence, constant market monitoring, periodic rebalancing, and diligent recordkeeping. Plagued by today’s busyness epidemic, even financial experts struggle to fit in the time to do this well. Traditionally, the alternative has been to turn to a professional financial advisor. Unfortunately, most human advisors have become synonymous with excessive costs and chronic underperformance. This has forced investors to seek out lower cost, technology-enabled alternatives through companies like Wealthfront and Betterment. But while the benefits to online advisors are many, they are not without shortcomings. Over the past decade, online investment advisors have grown to prominence due to a need for easy diversification at an affordable cost. Typically, online advisors work by requiring you to answer a series of questions regarding age, retirement timeline, and risk tolerance. They then run those inputs through an algorithm to generate your portfolio allocation. Low fees: While human advisors charge an average annual fee of 1.18% for smaller portfolios, online advisors typically charge annual fees under 0.90%. Factoring in the implicit cost of forgone compounded returns, the typical difference between human and online advisory fees could imply as much as six figures in lost earnings over a 40-year period. Hands-off management: Americans work more hours than their counterparts in much of the industrialized world. Trying to pick stocks or even decide among the 60+ index funds available on Vanguard can be challenging and time consuming. Using an online investment advisor removes much of the work, so you can spend your leisure time doing things you love, rather than poring over investment options. Less potential for error, bias, and conflict of interest: A Wall Street Journal report found that, over the past 15 years, 82% of all actively-managed domestic stock funds underperformed their benchmarks. This adds to the growing stock of literature suggesting that the merits of active portfolio management may be vastly overstated. Moreover, human advisors are frequently subject to conflicts of interest that may encourage excessive trading and hurt your bottom line. Automatic diversification: By spreading one’s savings across a variety of uncorrelated assets, diversification allows investors to reduce portfolio risk without compromising potential returns. Studies have found that even minimal diversification can yield major risk-mitigation benefits. These benefits have not been lost on savvy investors. Although still a relatively small component of the larger financial sector, online advisory firms are growing their assets under management at a healthy clip. Betterment, for instance, increased its assets under management roughly five-fold in just a year and a half. Tellingly, Business Insider is projecting that 10% of global assets will be managed by financial advisory applications and online services by 2020. While the benefits to online investment advisors are many, there is still one critical area where most fall short: portfolio allocation. This may seem surprising given that diversification is the main tenet of every online advisor. However, in practice, online advisors offer little to no exposure to private alternative investments, a core component of a well-diversified portfolio. The vast majority of online advisors, including Wealthfront and Betterment, allocate investors’ portfolios across public securities, which frequently charge high liquidity premiums, and can be laden with hidden fees. Moreover, publicly traded securities tend to suffer from high beta, or correlation with the broader market. In other words, portfolios generated by traditional online advisors tend not to be sufficiently diversified, and fail to capitalize on the potential benefits of investing in private securities. Importantly, this may mean suboptimal returns, leading investors to miss critical benchmarks. For evidence of the benefits of investing in private investments, look no further than the Yale Endowment. When David Swensen first took over Yale’s endowment in 1985, he determined that the portfolio was overexposed to public equities, bonds, and cash, and under-allocated across higher-yield alternative investments like private equity, venture capital, and real assets. Today, under Swensen’s management, the endowment has consistently allocated a sizable proportion of its holdings to private securities, including nearly 30% to real assets such as real estate. This strategy has proven an immense success. Over the past 30 years, the endowment has produced an approximate 13% annual return, considerably above the 10% 30-year non-inflation-adjusted return produced by the S&P 500 as of 2016. Even in 2016—a challenging year for most university endowments—Yale left rivals like Harvard and Princeton in the dust. 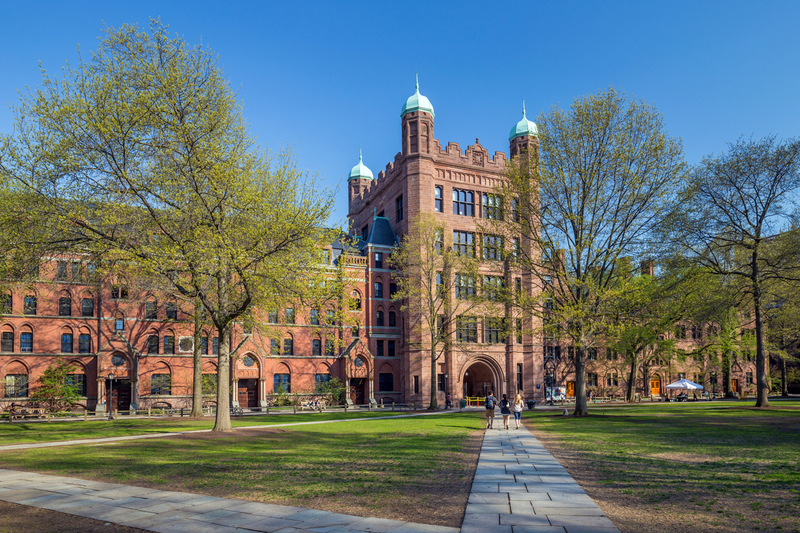 Historically, replicating the Yale endowment’s allocation has been difficult if not impossible for most investors, given their limited access to high-quality private investments such as venture capital funds, private equity funds, and real estate. Driven by a dearth of available private investments for everyday investors, Fundrise has stepped in to bridge the gap between the public and private markets. Fundrise now offers the first technology enabled investment management service that allows you to take advantage of the opportunities created by the public-private market divide, to build a portfolio of private market real estate assets with the potential to earn higher returns, more consistently over time. Our goal-based management system allows investors to enjoy the benefits of an online advisor, without the hidden costs and mediocre returns inherent in public investments. Diversification into real estate and other asset classes when done right can reduce the risk and volatility of your portfolio and increase return potential. Fundrise has teamed up with Millennium Trust Company to offer investors the ability to invest directly in real estate through IRA accounts. Learn how investing alternative investments with your self-directed IRA can help diversify your retirement funds and allocate savings more efficiently in a centralized account. Real estate has become one of the most popular ways to secure residual income. Thanks to new investment vehicles, those interested in building an income stream have several options to choose from.